Feel confident taking your vehicle into the backcountry with your entire family and all their gear! The #TAVSPEC Stage 1 System enhances an already capable Toyota platform by increasing the load carrying capacity without compromising ride quality and comfort. The #TAVSPEC Stage 1 System is a mid-travel suspension system that replaces the weak links in factory suspension greatly reducing the overall stress put on the vehicle during off-road use. This allows you to explore more and feel less fatigued at the end of your journey. We recommend the #TAVSPEC Stage 1 System for backcountry exploration and moderate off-road trail use. Click on the vehicle below to Expand specs! The #TAVSPEC Stage 2 Systems is the best all around package we offer. The Stage 2 has the capability to take on the most severe environments you can throw at it, while maintaining daily drive ability! From Alaska to Patagonia, this system will be your most valuable tool for exploring the world off-road. Transitioning from the Mid-Travel suspension found in our Stage 1 System, Stage 2 incorporates Long-Travel suspension to increase the vehicle's ability to dampen harsh terrain as well as increasing the vehicles ride comfort and off-road traction. 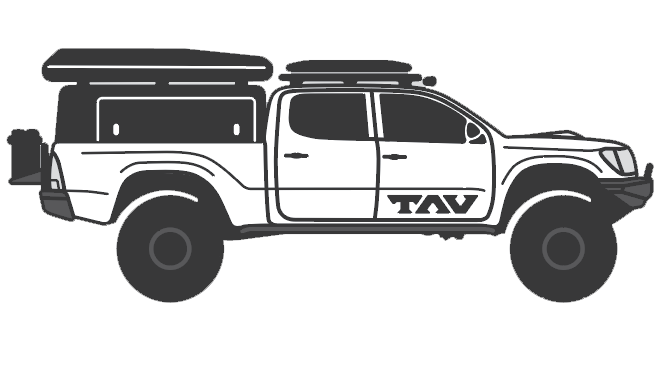 We suggest the #TAVSPEC Stage 2 system for extended backcountry exploration and difficult off-road trail use!" 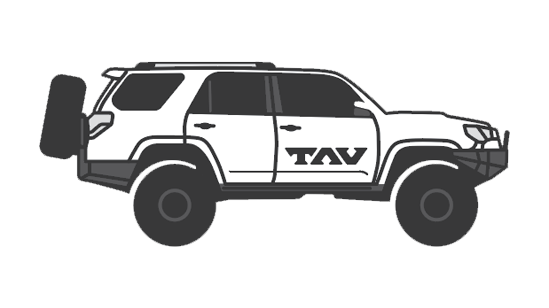 The #TAVSPEC Stage 3 System is truly the go anywhere off-road vehicle system! The #TAVSPEC Stage 3 System eliminates all the weak links so your vehicle will never be your limiting factor. The #TAVSPEC Stage 3 system functions in the same way as the Stage 2 but the Stage 3 allows for precise suspension tune-ability. You can adjust the suspension per your driving environment and current vehicle weight. We suggest the #TAVSPEC Stage 3 System for the adventure who demands a vehicle that can take on the harshest of enviroments without fail in complete driver comfort!